Ask any player who was the best woman bridge-player of all time in Europe, and top of the poll would be Rixi Markus. She was the most colourful as well as one of the most successful, winning seven European and four world titles for Britain, becoming the first Woman World Grandmaster. Before the Second World War she had won two European titles and one world title for Austria. She was born Erika Scharfstein on 27th June 1910 into a prosperous Jewish family in Gura Humora, a part of the Austrian-Hungarian empire that is now Romania. In 1916, ahead of the Russian advance, the family fled, eventually settling in Vienna. Here, by the age of 10, Erika was playing whist, and two years later, whilst holidaying with an uncle in the Netherlands, she picked up bridge. On returning home she kept the new hobby a secret from parents who "would not have considered it at all a proper pastime for a young girl". Erika went to a finishing school in Dresden. In 1928, aged only 18, she married Salomon Markus, a shoe-maker twice her age, who also played bridge. A daughter, Margo, was born in 1929 but the marriage proved a disastrous union - "Salo", the inferior player was jealous of his wife's skills, and accused her of flirting with whoever she happened to be playing, usually at the Vienna Bridge Club. After the third European Bridge Championship was held there in 1934, she joined the Austrian Womens team for the first European Women's Teams in 1935. Austria won that year and the next, and then had a stunning victory at the first Women's World Championships in Budapest in 1937. On March 11 1938, when Hitler's troops entered Austria , Rixi (as by then she was then known) was at the bridge table as usual. Her husband would not leave his business, and a few days later, as Hitler entered Vienna, Rixi, clutching her young daughter, some bridge trophies and 200 schillings, left on a train, fooling the authorities by going through Germany, and then Belgium, to London where her parents had settled in 1936. After a few months her husband joined her, but they separated soon after the outbreak of war. Rixi worked as a translator for the Red Cross, supplementing her winnings at the bridge table. She suffered more than her fair share of tragedy; her elder sister perished in a concentration camp, her father was killed in a car crash, and a love affair with Walter Carr, a member of a famous British newspaper dynasty, ended with his death from a brain haemorrhage. In 1950 Rixi became a naturalised Briton, joined the British women's team, and won the Europeans seven times starting in 1951 in Venice. She partnered Doris Rhodes and they were down at half-time in the final match against Denmark . The captain put Rixi back in with Fritzi Gordon as partner, and the session brought the gold medal for Britain . In her strong Austrian accent, a triumphant Rixi declared "Ve British are alvays at our best viz our backs to ze vall". Away from the bridge table Rixi was the most loveable and endearing of characters, a loyal friend always ready to leap to the aid of someone in trouble, but her partnership with Fritzi Gordon was one of the most excitable and voluble in bridge, acquiring the nickname of "Frisky and Bitchy". In 1962 they won both the World Women's Pairs and World Mixed Teams and followed two years later by winning the Olympiad in New York. At the 1974 World Women's Pairs in Las Palmas , they could be heard arguing from the farthest corner of the room, but they won by a margin that no-one has come near since. Rixi became the first Woman World Grandmaster. Their last major title was the Europeans in 1975. Later that year Rixi received an honour from the Queen, MBE (Member of the British Empire ) "for services to bridge". The next year, after the 1976 Olympiad in Monte Carlo , the partnership of Rixi and Fritzi came to an end. Tragedy also struck when Rixi's daughter, who lived in the USA, died of cancer. Rixi did not play international bridge again, but she continued to be a familiar figure at Congresses throughout Europe. Rixi had a 13-year romance with Harold, later Lord, Lever, a minister in the Wilson government, who was also a bridge-player. She launched the annual bridge match between the House of Lords and House of Commons that is still ongoing, with 15 wins for each this year. The stories of Rixi's colourful character are legion. When the captain enquired about the best line-up, Rixi would reply "I must play at both tables." She was the centre of numerous stormy scenes, even a famous libel case (the jury could not agree), but as Victor Mollo reported "more often than not they end with flowers". Her concentration at the table was ferocious, she had criticised the world's best players as if they were beginners, yet her friends knew her to be generous and loyal. None who met her can forget her presence. 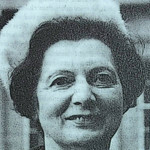 Rixi was bridge columnist for the Guardian newspaper from 1955 to the year of her death in 1992. She authored seven books, including an autobiography, "The Vulnerable Game".